Today, I am able to present another new project of mine. After doing a small New York Beauty wall hanging and starting a hexagon quilt—designed all by myself—I thought I could start another quilt where I can rely on the design of someone else. 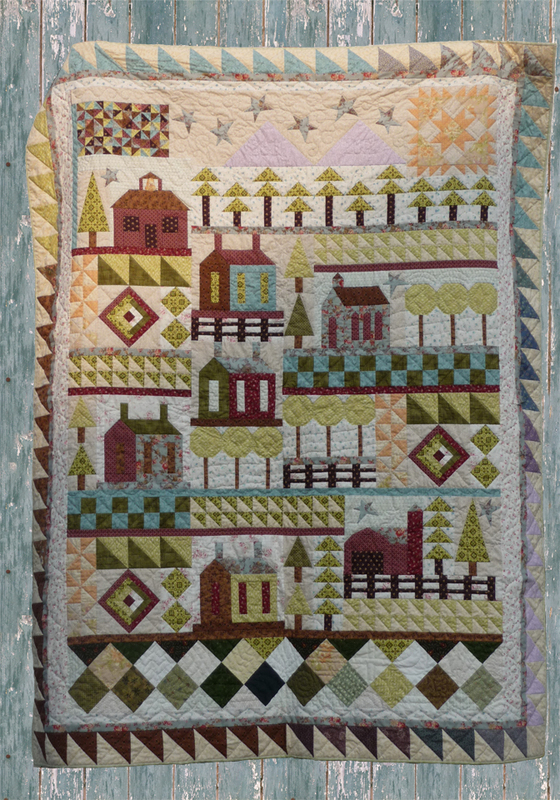 The farmer’s Wife quilt and the book by Laurie Hird are famous amongst quilters, I understand. Ever since I heard of it, I was fascinated by the great variety of block patterns in this sampler. And since I am very fond of samplers in general, it was only a matter of time that I started a version of my own. As to fabric choice, I went for turquoise and green. I might add some blue or orange, I am not sure yet. Some of these, I borrowed from my sister. I always like to use “borrow” for things you cannot actually give back. Like handkerchiefs or food—and fabric. 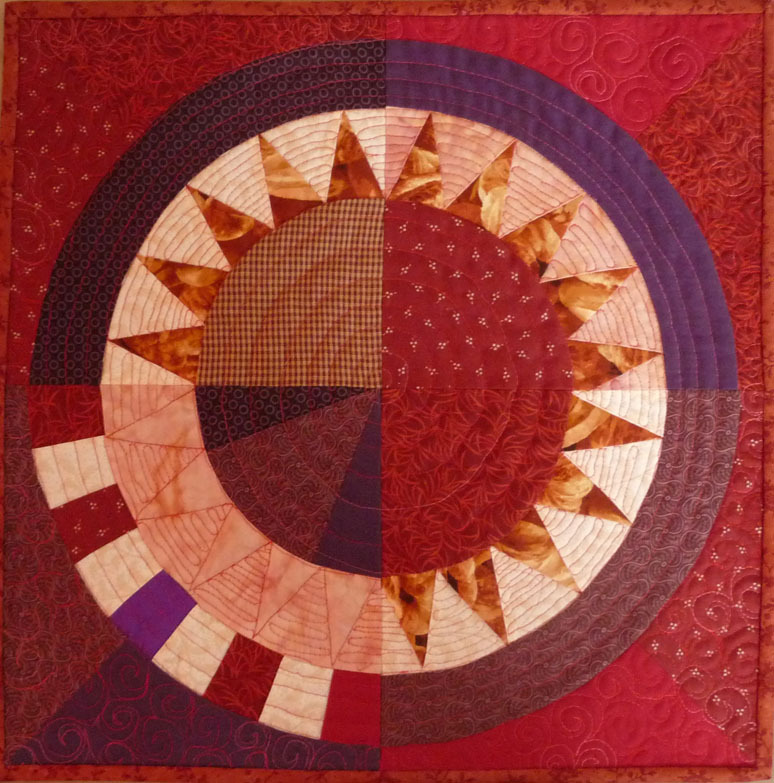 To add even more excitement to this project, I decided to not sew 6″ blocks, as Laurie did, but 4,5″ blocks. 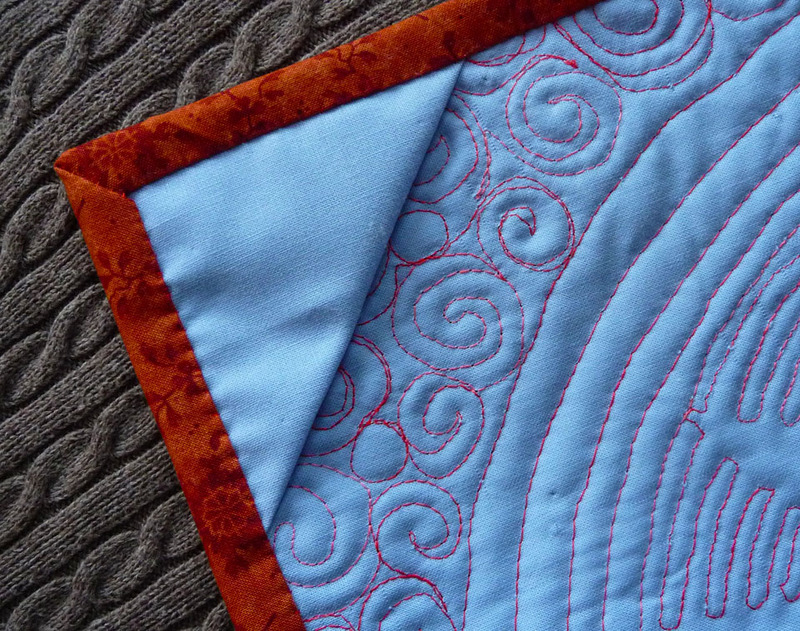 To confess the truth, I did not want to do another really large quilt, in the first place. 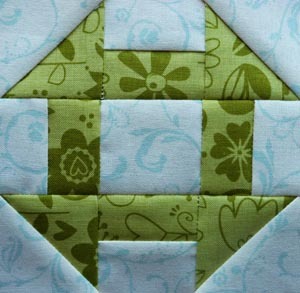 But as a bonus, it adds to the level of difficulty plus it allows me to use up lots of scraps. Here is my first block: Wrench. The block patterns in the book are in alphabetical order. As you can see, I started at the back. Posted in Uncategorized and tagged farmer's wife, farmer’s wife quilt, green, Laurie Hird, quilt, small size, turquoise, wrench, wrench block. Bookmark the permalink. Old shirts can be a good fabric source for a quilter. I already have done a quilt using two old shirts. This time, I aspire to something more refined. 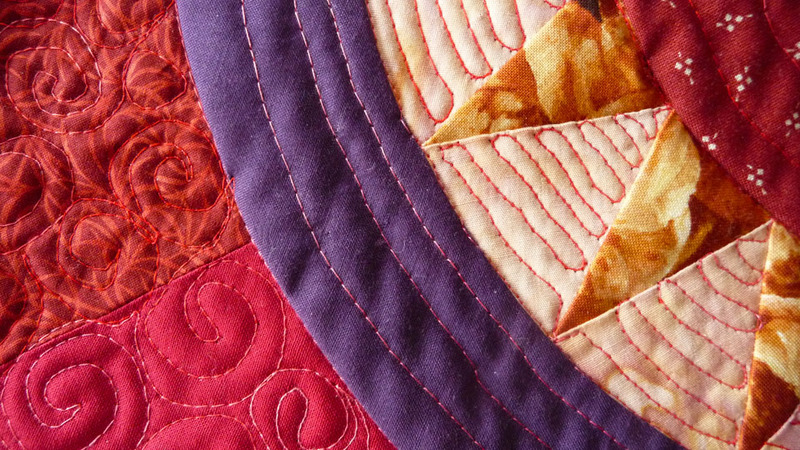 I long wanted to do a quilt in the paper piecing method—by hand. A carry-along project. But I never liked hexagon quilts too well. 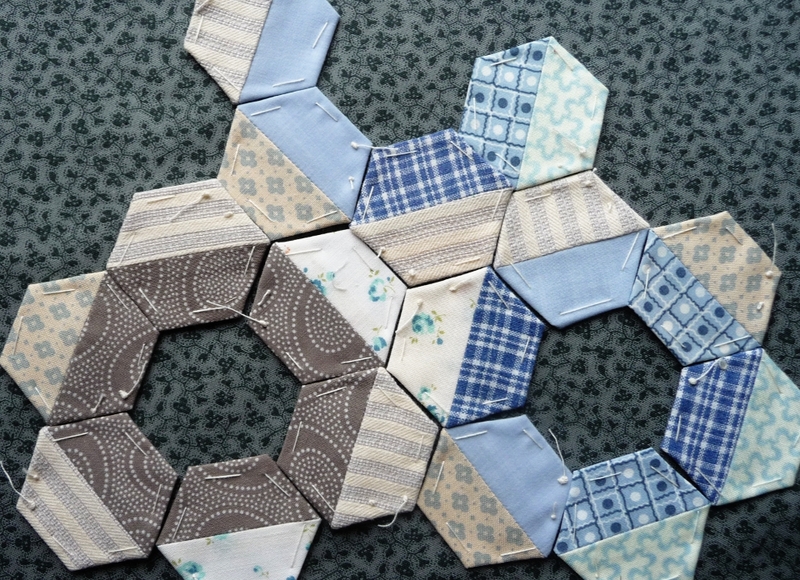 Until I came across Megan’s idea of pieced hexagons. I was struck with the idea of piecing them and humiliated because I never thought of it! I think it makes all the difference and opens up so much more possibilities as to how to arrange them. Maybe you can make out the four fabrics that were men’s shirts once? I would love to have more than these four, and maybe some friends will help me out. I am definitely going to add some more colour and decided on orange, pink, and black. I will give you an update on that as soon as I can. 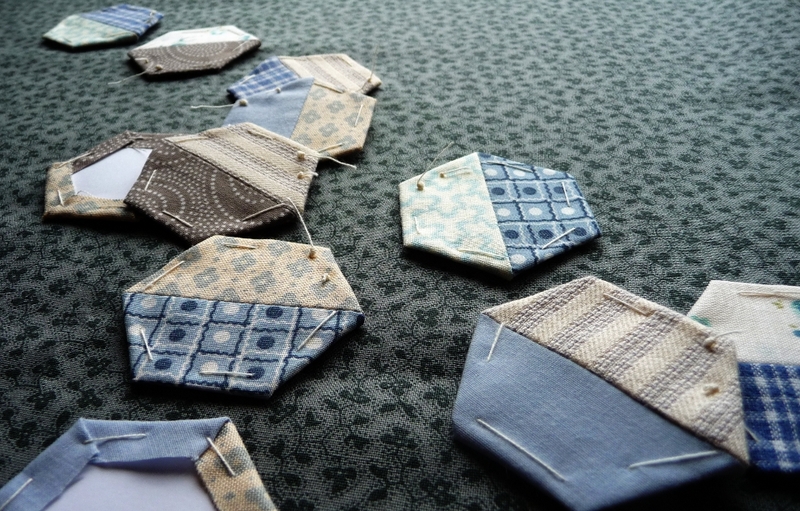 Posted in Uncategorized and tagged english paper piecing, hexagon, hexagon quilt, men’s shirt, paper piecing, quilt. Bookmark the permalink.